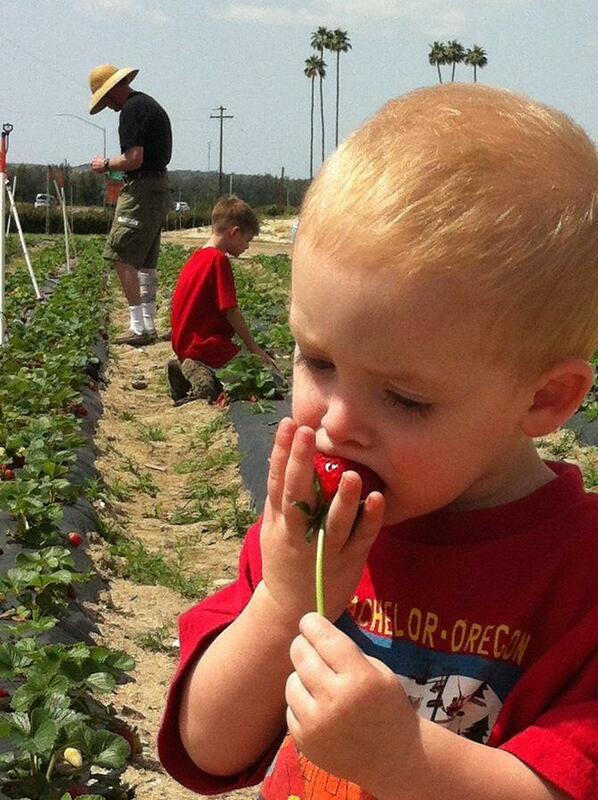 We at Murray Family Farms take great pride in quality produce grown ripe, the right way. We do things differently than some farms, and we would like to tell you a little bit about why we're so commited to bringing the best possible produce to your family. Sustainable means it's good for the environment. Sustainably growing means accounting for natural resources used in order to assure continued productivity in the soil for future generations, and maintaining an effective balance in the local ecosystem. This lends itself to conservation methods in nearly every aspect of farming. While some farms may use waterways on their farm (large ditches that flood with water and soak the soil for various crops) Murray family farms utilizes drip lines. Drip lines can be modified to exude an exact amount of water over a period of time, drastically reducing water usage and never drowning out plants. Using drip lines also virtually eliminates the destructive nature of erosion on farmlands, and preserves the quality of the soil. Sustainable means happier trees and a better future. You may be familiar with crop rotation from school during Thanksgiving, and it's as relivant now as it has ever been. When crops are planted redudantly with the same large area and the same harvest every year the land can become tired and less fertile. Plants draw certain nutrients out of the soil and can completely deplete a natural resource needed for plant growth. By balancing the locations of our harvest areas we allow a more balance draw on the soils nutrients. For example, while legumes return nitrogen to the soil, lettuce and tomatoes will absorb it. By planting Legumes next to lettuce, you can achieve a balanced system and very healthy produce as the trees work on each others strengths. Seriously, Safe in the way we all expect everything to be safe. Sustainability rests on the principle that we must meet the needs of the present without compromising the ability of future generations to meet their own needs. Sustainability also considers the farmers and farm workers themselves and addresses this problem, working toward socially just and safe employment that provides adequate wages, working conditions, health benefits, and chances for economic stability. While you may know someone who is part of the "Organic Movement", we've gone organic because it's authentically better. Want to know how? Stick around. Irrigation on a field of crops will carry a certain amount of soil, nutrients, and chemicals downstream or into underground aquifers. The more chemicals applied per acre, the greater the challenge in preserving water quality. The Dead Zone in the Gulf of Mexico is the most graphic example of the enormous harm caused when farm chemicals flowing off of millions of acres congregate in the mighty Mississippi. Despite a 2012 study that proclaimed the opposite, it's become fairly common knowledge that Organic produce tends to be more "Organoleptic" (A fancy word for everything that goes along with eating, scent, texture, sweetness, etc.) The sensory quality laboratory at Washington State University tested consumer preferences for organic and conventional strawberries . By keeping participants blind they avoided bias and testers were more often than not able to pick out the organic berry. In 2014 British Journal of Nutrition, found that organic crops — ranging from carrots and broccoli to apples and blueberries — have substantially higher concentrations of a range of antioxidants and other potentially beneficial compounds, and that review included data from more than 300 studies! By depriving various plants of external means of protection such as pesticides, not only do we avoid harmful compounds like the toxic metal Cadmium but a study on tomatoes grown organically conducted at the University of California, Davis back in 2008 found that organic tomatoes have almost double the concentration of a beneficial flavonoid known as quercetin that helps manage diabetes, weight, and blood pressure.